New Delhi/Patna, 3/2/2011: Addressing a press conference at Indian Women's Press Corps, Bihar Chief Minister, Nitish Kumar said, “We have not given permission to the asbestos factory. This factory has received the environmental clearance from the Government of India and thereafter from the State Pollution Control Board. But we have not permitted its establishment. We have not given any permission. 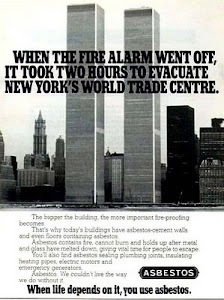 As of now asbestos is not a prohibited thing. There should be uniform process and asbestos factory should be stopped all over the country.” He was responding to questions about the bitter protest of villagers including women in Marwan Block of Muzaffarpur who have been braving police repression since May 2010. The photograph of protest against police firing against anti-asbestos protestors is attached. The fact is that mining of all forms of asbestos is prohibited in our country. 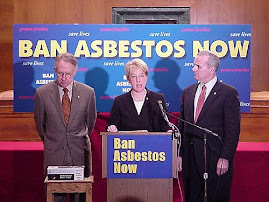 But the trade, manufacturing and use of the killer fibers of asbestos is not banned as of now although World Health Organisation (WHO) and International Labour Organisation (ILO) have passed resolutions calling for the elimination of future use of asbestos. The Chief Minister must put the public health and lives of citizens of Bihar more important than the blind profit mongers of asbestos companies like Balmukund Cement & Roofing Ltd in order to take decisions which are consistent with WHO and ILO resolutions. As to the role of the Bihar’s State Investment Promotion Board (SIPB), it is quite stark. SIPB gave approval to Kolkata based M/S Balmukund Cement & Roofings Ltd’s proposal for establishment of 1.5 Lakh MT capacity production unit of Asbestos Fiber Cement Sheet (Corrugated/Flat) and Accessories at Chainpur-Bishunpur, Marwan, Muzaffarpur on 21st December, 2009. However, it is noteworthy that approval date of CM/Cabinet is not available in public domain. The list of proposals approved by SIPB which mentions the approval to Balmukund Company’s factory is attached. A study titled "Asbestos exposure and ovarian fiber burden" by Debra S. Heller MD, Ronald E. Gordon PhD, Carolyn Westhoff MD, Susan Gerber MD - American Journal of Industrial Medicine Volume 29, Issue 5, pages 435-439 observes "Epidemiologic studies suggest increased risk of epithelial ovarian cancer in female asbestos workers and increased risk of malignancy in general in household contacts of asbestos workers. Ovaries were studied from 13 women with household contact with men with documented asbestos exposure and from 17 women undergoing incidental oophorectomy. Ovarian tissue was examined by analytic electron microscopy. Significant asbestos fiber burdens were detected in 9 out of 13 women with household asbestos exposure (69.2%), and in 6 out of 17 women who gave no exposure history (35%). Three exposed women had asbestos counts over 1 million fibers per gram wet weight (23%), but only 1/17 women without an exposure history had a count that high (6%). This study demonstrates that asbestos can reach the ovary. 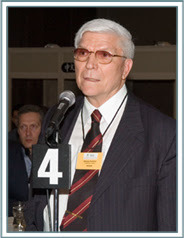 Although the number of subjects is small, asbestos appears to be present in ovarian tissue more frequently and in higher amounts in women with a documentable exposure history." The WHO’s Factsheet too mentions that ovarian cancer is caused by asbestos fibers of all kind. 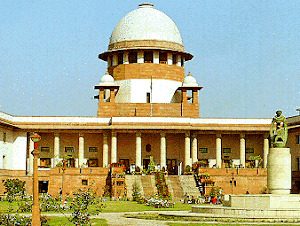 The ruling parties in the State Government which claim the legacy of Jayaprakash Narayan must take note of the findings of the Shah Commission - set up to investigate the Emergency's excesses- noted that during Emergency (1975-77), Navin Chawla (former Election Commissioner) wanted to construct Tihar jail cells with asbestos roofs wherein opposition leaders who were arrested under Maintenance of Internal Security Act (MISA) were to be kept. “A proposal to this effect was also processed but given up eventually due to certain technical reasons." Shah Commission was a commission of inquiry appointed by Government of India in 1977 headed by Justice J.C. Shah submitted its report in August 1978 to the Parliament. BANI urges Bihar government to initiate the process of banning asbestos fiber from the state in order to pave the way for the eventual national ban on asbestos of all kinds. 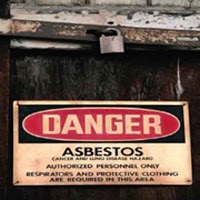 Asbestos use has been banned in most of the industrialized world since it has been proven that exposure to asbestos may lead to incurable mesothelioma, lung cancer, and numerous other illnesses.